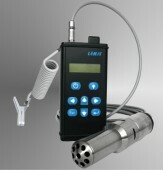 Portable Submersible Density meters DM-250 SERIES best suited for liquid density and temperature measurements directly in the storage or process tanks (up to 6 meters depth). No labor extensive and errors critical sampling required. 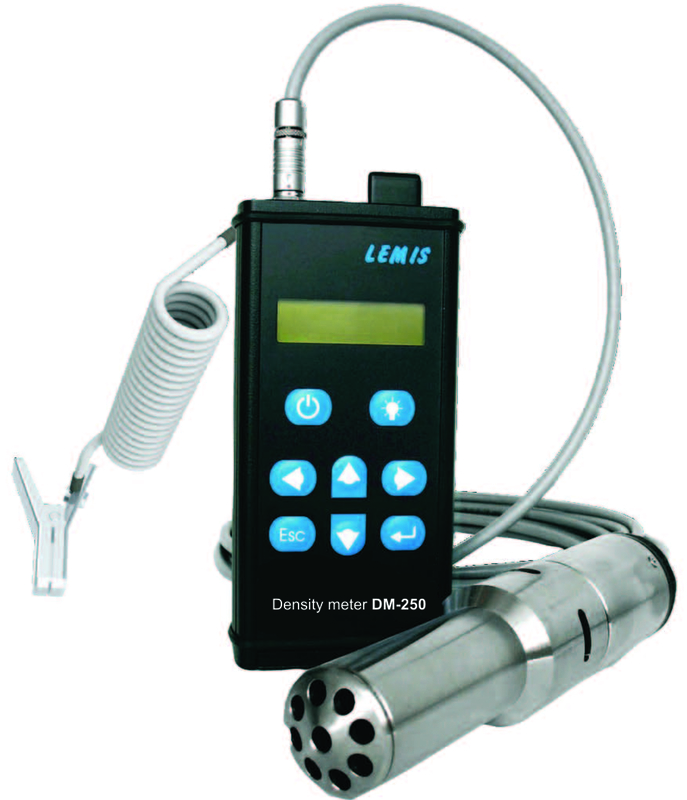 Instead, the sensors of DM-250 SERIES can be submersed at any required level and record spot density and real temperature at that point directly in the liquid. The operation personal can get in minutes the average density in the tank and its density / temperature / level profile, for example, at every meter. Hundreds of measurements can be stored locally and future transferred to a PC or printer via built-in bluetooth connectivity. The DM series has robust design for heavy duty year round indoor or outdoor operation, even in severe climatic conditions at –40°C to +85°C (-40°F to +185°F). Backlighted LCD facilitates nighttime operation.